Never underestimate the importance of good wheels and rubber, especially when buying and selling. The wheels and tyres may not be in the eye-line but they constitute a significant percentage of the car’s façade, can cost lots to put right, and are therefore a selling point. We recommend the wheels are the correct ones for the car: if the GT was fitted with Carlos Fandango rims, that’s what your buyer will expect. If you’ve blessed the thing with gangsta bling, include the originals with the sale. Inspect alloys for signs of parking-by-Braille, wires for rattly spokes, and steels for corrosion. Prospective buyers will also want to know if the tyres will savage them in the wallet within days of purchase so inspect their condition, tread depth, and decipher the date code, replacing any tyre over six years old. Are the tyres correct for the vehicle? If it was meant to have a high-speed asymmetric Michelin tyre but now it’s got a cheap van tyre, the prospective buyer might wonder if everything on the car is serviced down to a budget rather than up to a standard. And trowelling on sticky, black tyre paint will make the princess look like a fur-coat-no-knickers tart, so leave the stuff on the workshop shelf. This is a 205VR15 Pirelli Cinturato CN72 tyre. 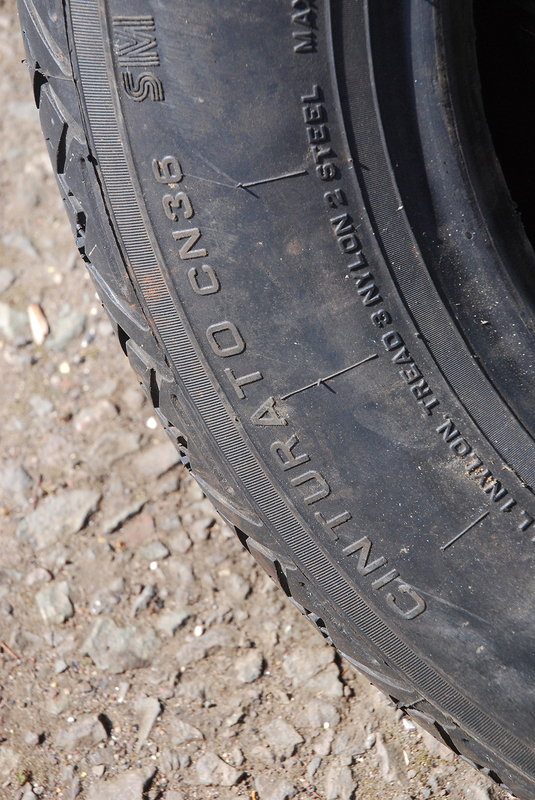 The Pirelli Cinturato was originally introduced in the 1950s and was the first example of a textile cord braced radial tyre. It was standard equipment on many of the great Italian marques of the era combining grip with high-speed capability and a comfortable ride. It is a great tyre and long lasting. There are a lot of tyres on the market but we always recommended those that will make the car in question handle at its best. As a result they are generally from top-end manufacturers like Pirelli.